This past Saturday I started writing my review of David Bowie's latest release "Blackstar" and in so doing I went back to past albums like "Low" and "Aladdin Sane" (and more) hearing ghosts of those past albums in some of the tracks on "Blackstar". The writing process flowed into Sunday and the trip into the past included my first introduction to Bowie as well. 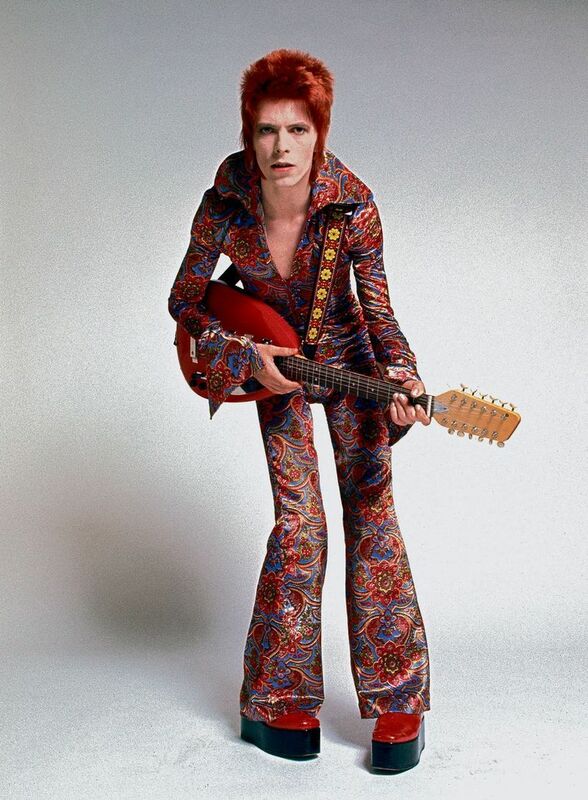 I was an admittedly naive high school student both musically and in almost every other way when my friend Mark introduced me to the early Bowie stuff, to "The Rise and Fall of Ziggy Stardust and the Spiders from Mars" and to "Hunky Dory". I remember how weird I thought Bowie was but also how incredibly captivating his songs were and how his difference in the musical landscape and my own emotional landscape was so incredibly interesting. It didn't take long for his influence to influence my creative process, my (attempt at) songwriting and more. As David Bowie shape shifted I also noticed how his songs opened me up to other philosophies and to historical figures and more. He was one of the few songwriters I knew whose poetry would have references (or be inspired by) Nietzshe or Dadaism. The fact that he was well read, a true performance artist and this kind of facile human sponge who would soak up musical genre's and the hidden mores of the time and turn them into artful songs and performances was (and is) awe inspiring. On Sunday morning having steeped myself in so much Bowie I mentioned to my wife that if there was one musician I would want to meet and talk with / interview that it would be David Bowie, that he might just be the single most influential musician / artist of our time that is living today. Little did I know that he was in his final hours. I posted the review "Blackstar", an amazing piece of work. I am so glad that David honored us with such artistry before he departed. I went to bed at around 11:30 Eastern time and had a restless sleep. Waking up I saw an Instagram notice and it is at that time that I heard about David's passing. It came from a friend who was responding to my album review. At first I didn't believe it. I didn't know that Bowie was battling Cancer. I still am having trouble coming to the realization that the man is gone. In referring to the song Girl Loves Me (on Blackstar) I write about how Bowie once again stretches the creative envelope. He sings half the song in Nadsat, the language of "A Clockwork Orange" and half in Polari, the slang of Gay clubs in 70's London and how ONLY he would think of writing a song in this way. That was David Bowie, a totally one of a kind thinker and doer. He will be so incredibly missed.